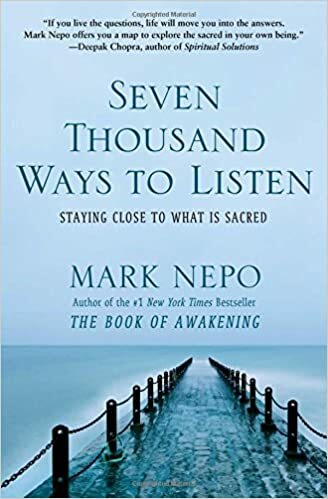 Author and poet Mark Nepo shares a conversation with Chris about the power of community and taking guidance from our true nature, instead of our fear. Beloved as a poet, teacher, and storyteller, Mark Nepo devotes his writing and teaching to the journey of inner transformation and the life of relationship. Find readings, lectures, and retreats from Mark at marknepo.com. More Together Than Alone (Opening) – Mark reflects on the approach taken with his most recent work, More Together Than Alone: Discovering the Power and Spirit of Community in Our Lives and in the World. He and Chris discuss how we can navigate the difficulties of our incarnation on Earth by removing the barriers of ego separating us from one another. The Two Tribes (12:00) – We examine the role that fear plays in how we as humans relate to one another. Mark discusses how our tendency towards tribalism can reinforce our fears of the outside world or, conversely, show us what we have to gain from learning from one another. Sharing Our Experience (27:50) – Chris and Mark discuss the important lessons that can be learned when we invite someone we hold conflict with to so sit down and share our experiences with each other. What would political discourse look like if we adopted this radical form of communication where we share our experiences and not our conclusions? The Life of Expression (44:05) – With a prolific body of work, 20 books and 14 audio projects, it can easily be said that Mark has found his calling – but what about the rest of us? Mark offers advice for finding our gifts so that we can make the world a better place by sharing them.